Screen time is common among children today, who may use screens to watch TV, interact online, play games, and more. 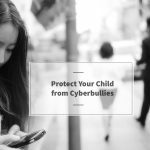 And although screen time isn’t necessarily a bad thing, it’s important to be aware of how much screen time your child is exposed to and how it can have an effect on their sleep. 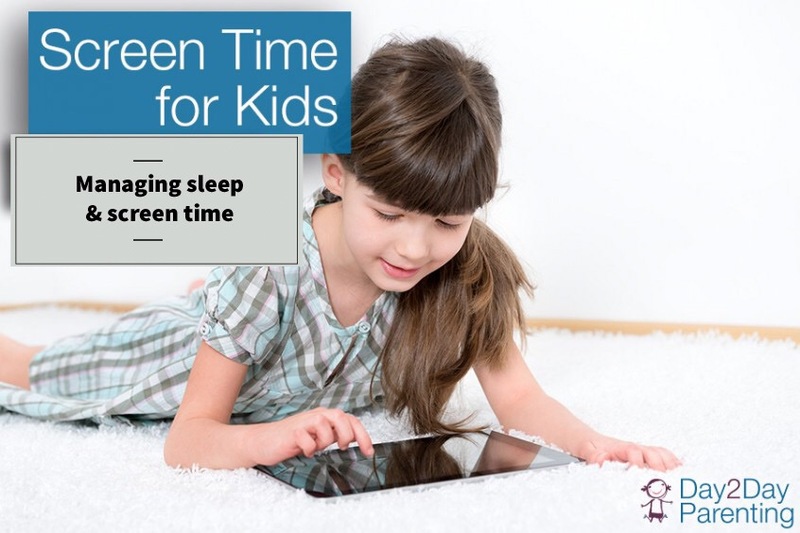 Although parents are often asked to consider the quantity of screen time for children, the time at which screen exposure occurs may be more important when it comes to the effects on sleep. There’s no denying that screens can be stimulating. And stimulation is not at all helpful when kids are trying to get to sleep. The blue wave light emitted from screens is especially problematic, as it mimics daylight and sends a signal to your brain that it’s daytime. When kids see blue wave light at night, it’s confusing for their circadian rhythm and can make kids feel too alert to fall asleep. Children may delay bedtime to continue using screens. Just one more show, finishing a game, or wrapping up a chat with a friend or family member can keep kids up when they should be sleeping. And depending on the activity, content can be an issue for sleep. Children who are playing violent or disturbing video games, or watching television they may find scary could have trouble getting to sleep as they’re haunted by the images they’ve seen just before bed. Even an exciting phone call can have children too wired to sleep well. Parents may hear guidelines for healthy screen time, but when it comes to sleep, timing is everything for screen exposure. New research indicates the amount of screen time children are exposed to throughout the day has a small effect on sleep. Each hour of screen time is worth about three to eight less minutes of sleep each night. So a child who has two hours of screen time might lose about 15 minutes of sleep each night. That 15 minutes is still important, but hardly a crisis. What’s more important than how much screen time kids have is when they have screen time, at least when it comes to sleep. Exposure to blue light waves during the day is not a problem, but at night, it is. Daytime stimulation, learning, and excitement is normal. It’s when that activity and excitement bleeds into nighttime that it becomes a problem and can interfere with getting to sleep on time. Screen time is commonplace for children today, so it’s important for parents to understand how to avoid pitfalls and help children sleep well. Pay attention to screen time. Screens are convenient for entertainment, especially when parents need to be hands off. 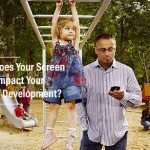 But it’s important to know when your child is using screens and how they’re using them. Be aware of how much time your children spend using screens, and especially what time they do it. Be aware of the content they’re accessing, and whether it can cause anxiety, fear, or over excitement that can interfere with sleep. Cut off screen time before bed. Screen time stimulation can keep kids up at night, whether it’s by captivating their attention well past bedtime or simply making them too excited to sleep. It can even confuse circadian rhythms. So it’s essential to put and end time on screen access each night, ideally at least one hour before bed. Spend the hour before bed unplugged, going through a relaxing bedtime routine that can help them shake off the excitement of screen time and focus on rest. Make sure kids get activity and exercise. When kids use screens, they’re typically sedentary, so that can cut down on the time they spend in active play and exercise. But physical activity can help kids sleep better. Make sure they get at least an hour each day to engage in physical activity. Keep screens out of the bedroom. When kids have screens in their bedroom, the temptation to play may be too great. They may stay up late using mobile devices or watching television when they should be sleeping. Focus on making their bedroom comfortable with appropriate bedding, and a calm, quiet, and dark environment where they can rest. 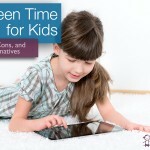 Screen time can make bedtime a battle, but it doesn’t have to be. Set clear guidelines and cut off screen access before bedtime so kids can get better sleep at night.